In a World Filled with Hate, How Does our YMCA Build Bridges? On Saturday, October 27th, 11 people were murdered in what can only be described as the deadliest attack on Jews in our nation’s history. In the same week, over a dozen bombs were sent to prominent political figures across the country, including Delaware’s very own former Vice President, Joe Biden. Lost in the headlines was another hate crime that very week, when a white man shot and killed two African-Americans,seemingly at random, at a Kentucky grocery store following a failed attempt to barge into a black church. 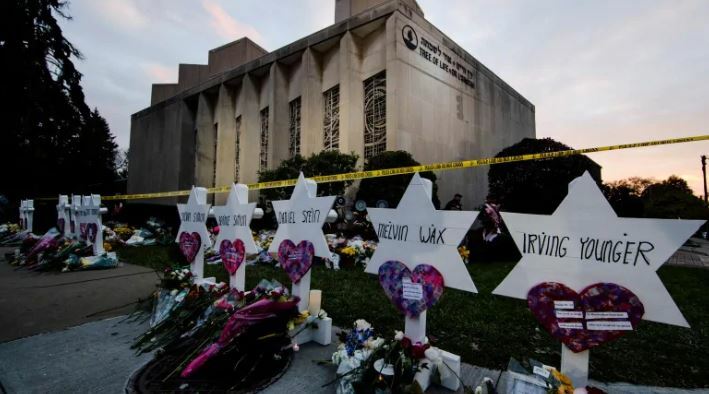 I lived in Pittsburgh, about a mile away from the synagogue where 11 people were murdered. I still have friends and family in the area. The shooting shook me to my core because at the end of the day, any one of us could have been there, going about our every day, not knowing that it would all come to a sudden and terrifying end. It is sad that we as a nation are becoming numb to the tragedies that surround us. It is hard to deny that communities around the country are growing more and more divided. There are reports that Neo-Nazism is on the rise both in the U.S. and around the globe. The FBI even reports that hate crimes are on the rise in our very own state. It is difficult to understand what fuels people to follow such radical ideologies and take such drastic action. What we do know is that we are stronger when we come together. When we build bridges to understand our differences we build a stronger community. And in a world where the idea of community shrinks every day, now, more than ever, our YMCAs are a constant pillar in the places we call home. In the face of these tragedies I am inspired to work with people all over Delaware who are dedicated to building a place where everyone is welcome. This list could be much longer, but as you read, I hope that you know what a valuable role our staff and supporters play in making our communities a better place to call home. Thank you for everything you do to support our mission!